We admit, this one isn't exactly ground-breaking, but it's important to remember the basics when furnishing a small space. 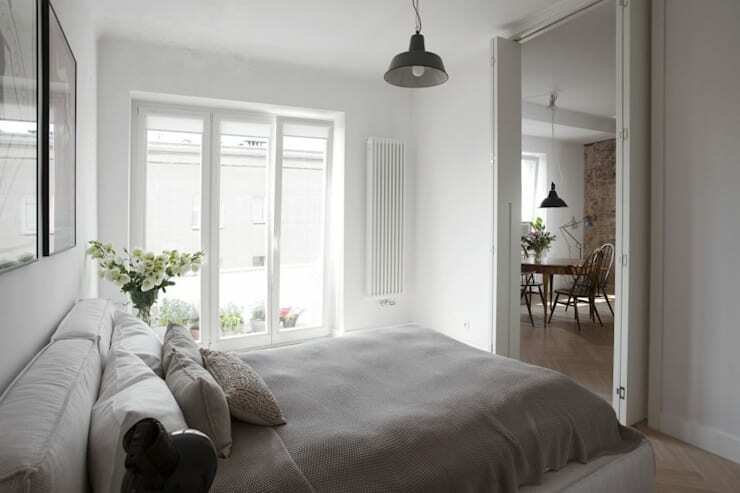 A white decor is often a good choice because it will make a small home feel bright and airy. Team this with carefully selected furnishings and you're on the way to a great little bedroom or sleeping space. This little bedroom has been wedged between two tall storage cabinets. 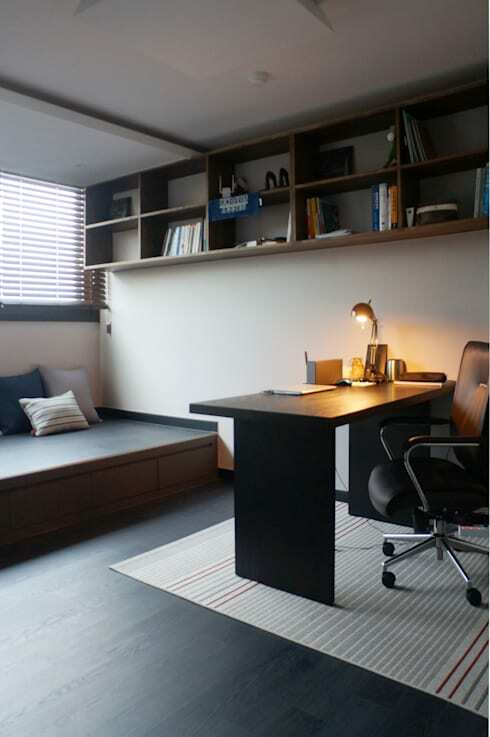 It looks unbelievably cosy and even has some built-in bookshelves. Note the slide out drawers on the left that turn into steps! 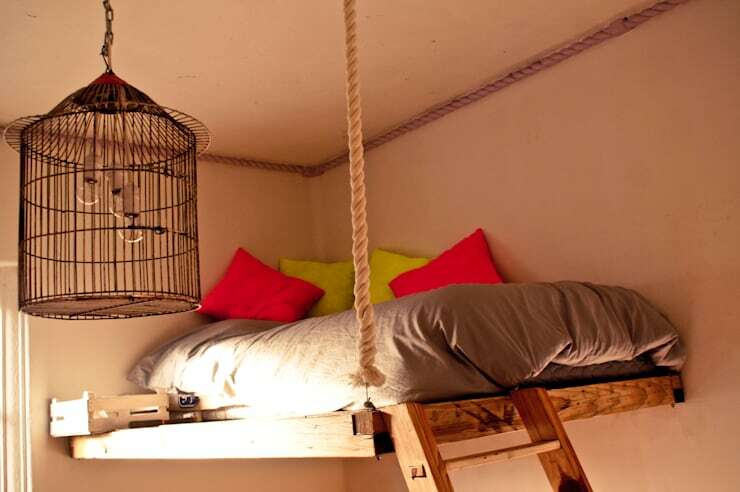 We're a little bit in love with sleeping platforms at the moment. They're a really good choice for those with one-room apartments of modest height. 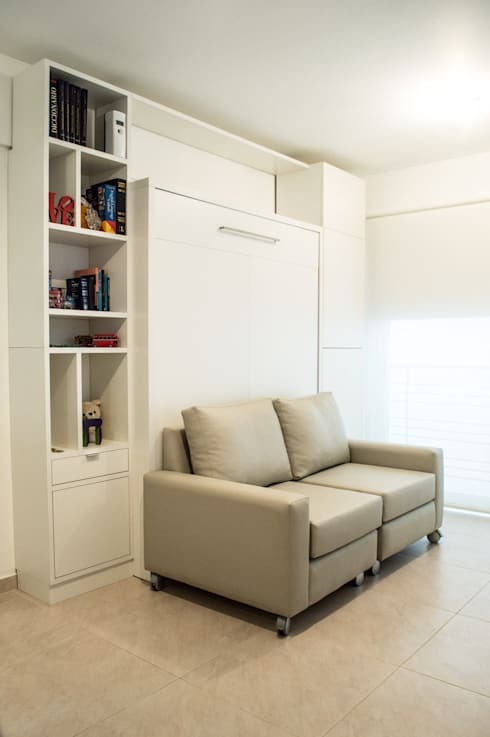 They subtly separate the space and can easily be used as sofas during the day. Side tables or nightstands are often the first things to go in a small bedroom. So we love this set up. Hanging lights provide a stylish focus without taking up floor space. The spare chairs on either side are certainly put to good use. Wall mounted tables are also another good alternative. This interior comes to us courtesy of photographers Ayuko Studio. Sleeping lofts are a fantastic choice for a small bedroom. This little example fits snugly in the corner and has a very stylish rustic look. Seeing as it's tucked into the corner and well away from busy walkways, it could even be mounted a little lower on the wall. Fold-out beds have been around for a long time. But many people are wary of the hassle of packing the bed and moving the sofa in place during the day. Consider the benefits of a sofa on wheels. It'll make the whole process far easier. If you do have the space for a small side table, a table with a round shape will shave off inches of unused space. A set of nesting tables is a really fabulous way to double the space as well! This bedroom isn't particularly small, but the headboard and bookshelf in one would be perfect for a small sleeping room. It can be accessed from the side and makes the perfect place to hide away all your clutter. 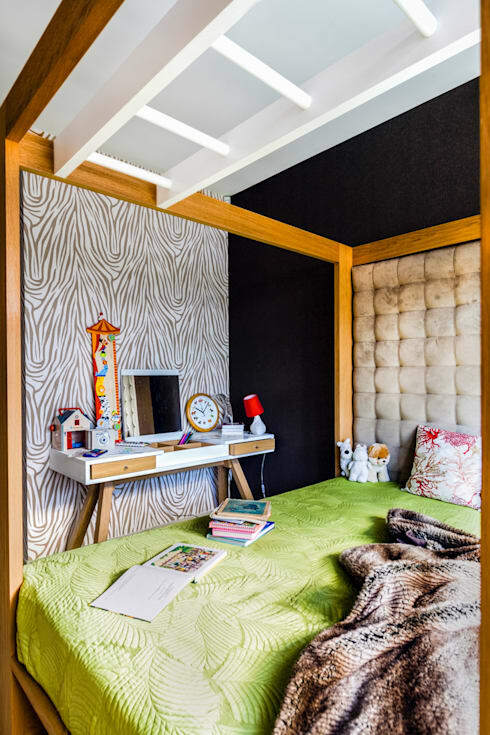 This tiny colourful sleeping area has a side table and dresser in one. It's jammed right up against the bed but it really doesn't matter. 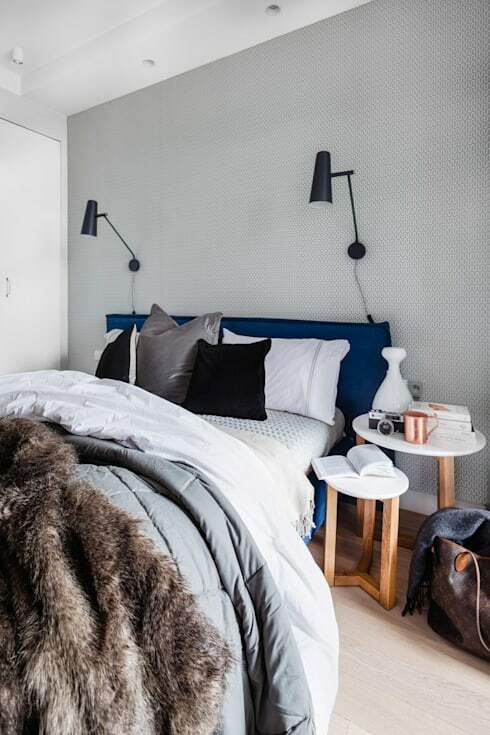 It just adds to the quirky look of this little bedroom. For more small home inspiration, check out 10 pieces of furniture that every small home needs. Would you like to try any of these tiny sleeping solutions? Which is your favourite?